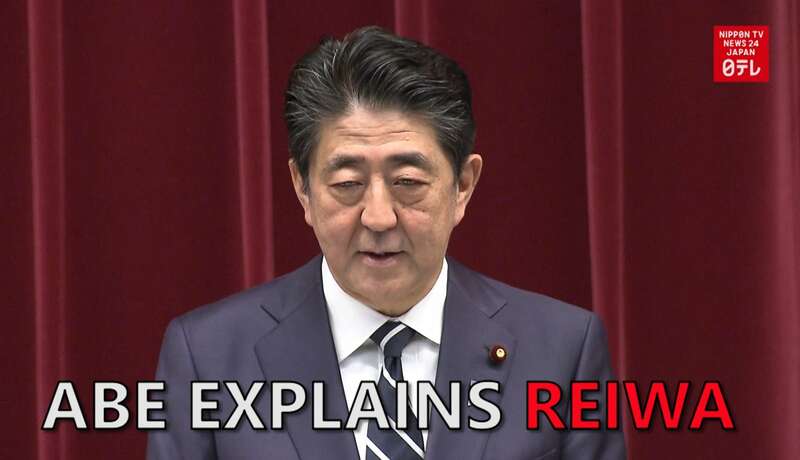 The government announced that from May 1 the people in Japan will be living in the Reiwa era. Prime Minister Shinzo Abe explained the significance and inspiration behind the name. He said it came from the Manyoshu, an ancient collection of Japanese poetry compiled more than 12 centuries ago. In addition to noting the cultural significance of the work, he also stated that the name Reiwa embodies the idea of people coming together to foster culture, and symbolizes the hope of the Japanese people for the future. He compared it to a plum blossom brilliantly heralding spring after a harsh winter, an image taken directly from the poem that inspired the name.